Should Disney Give Frozen's Elsa a Girlfriend? Of all the things I've ever seen trending on Twitter, this is not one that I ever expected to see. But I just had to write about it, because it's suggesting something that Disney could actually do to support the LGBTQ community. They may have unintentionally stumbled upon something with one of their hottest films of all time, and in the already confirmed sequel, it's possible that Disney could have their first gay princess, if they choose to do so. The hashtag #GiveElsaAGirlfriend is a hot Twitter campaign to make Elsa of Disney's "Frozen" the first gay Disney princess. I've never really been all that fond of "Frozen" honestly. "Let it Go" has become overplayed to death. It's an OK musical, but it's hardly one of Disney's best animated films. It's really overrated. Extremely kid-friendly, yes, but not what I'd call one of their Top 10, or even top 20 animated feature films. Really, I've never quite understood the obsession with it. It's a cute story. But Elsa, I will admit, has become one of Disney's iconic princesses. 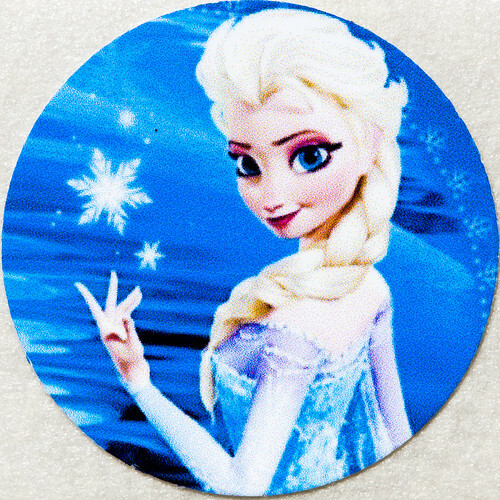 So would Elsa becoming an ambassador for the LGBTQ community be a good thing? Of all the Disney princesses, I can see why she would make the most sense. She doesn't have a boyfriend, after all. In the already confirmed sequel, would Disney go in that direction? I would certainly support it. Having perhaps the most popular Disney princess right now be gay would be quite the statement. The flip-side is that Disney going this direction could upset a lot of people. But we've seen blind outrage for anything that even hints at being support for the LGBTQ community by anyone. So that really should not be a hindrance - you can't make everyone happy, after all. Also, Disney does have several gay stars already. (Although they are not portrayed as such, to the best of my knowledge. I don't follow Disney that closely) As far as "making Elsa gay," there seems to be plenty of support on the internet that this could just be a natural extension of her character. Having watched the film myself, it wouldn't seem awkward to me at all for Elsa to be a lesbian. After all, she was quite cold and distant in the first film and only started opening up at the end of the film. So her character could go in a great many directions. "Elsa's own journey of acceptance with her powers has widely been interpreted as a metaphor for coming out from the umbrella of a traditional princess, reports the Independent." While the Christian Post doesn't mention this as a possibility, obviously, they admit that Elsa will show a different side of her personality in Frozen 2. If the film does actually go in the #GiveElsaAGirlfriend direction, you can be sure publications like this will call for a boycott of Disney or something. But #GiveElsaAGirlfriend would feel like a natural progression, in my opinion, and it's worth the risk. Of course, the fear is that little girls will "become gay" by having a gay Elsa become their hero. This is, of course, completely ridiculous. You don't "become gay," and all this would do is make girls aware of and more comfortable with their sexuality at a younger age. I'm not against the idea of Elsa becoming a LGBTQ ambassador, but I think it would be a huge risk that I'm not sure Disney will actually take. In any case, it's at least cool to see that something like this could happen and that Disney could be missing out on a huge opportunity if they don't pursue it. What's your take on this? I'd like to hear opinions of how this might go.